Auckland's very latest visionary new private theatre complex. Set amongst leafy trees in the quiet suburb of Remuera, it is truly an oasis of professional, exceptional surgical care. 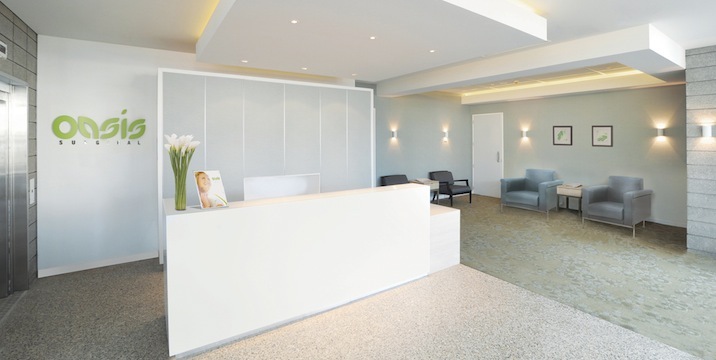 Ten years in development and owned and operated by Auckland Eye, New Zealand's leading providers of laser eye surgery, Oasis Surgical is a state-of-the-art, day-stay facility designed to be utilised by leading eye surgeons as well as surgical specialists in other fields of medicine. Oasis Surgical offers a modern, peaceful environment in which to undergo surgery and recuperate. Parking is convenient and plentiful, day-stay areas are relaxing and inviting, and the surgery facilities are the very best modern technology can offer. Our state-of-the-art, multi-theatre facility provides specialists with innovative technology, dedicated consulting suites and the support of highly skilled surgical, clinical and administrative staff - all in one central, accessible complex. Introducing the new Auckland Eye app - the first of its kind in NZ. Available for free in NZ on Mac and Android.